Carville Patients' Cemetery, National Leprosarium. The Carville cemetery is the only stop on the tour where you may exit your vehicle and take photographs. Just beyond the cemetery is a hospital incinerator with a driving ramp and tower built in the 1920s to dispose of all waste. Remember that nothing was allowed to leave the grounds. 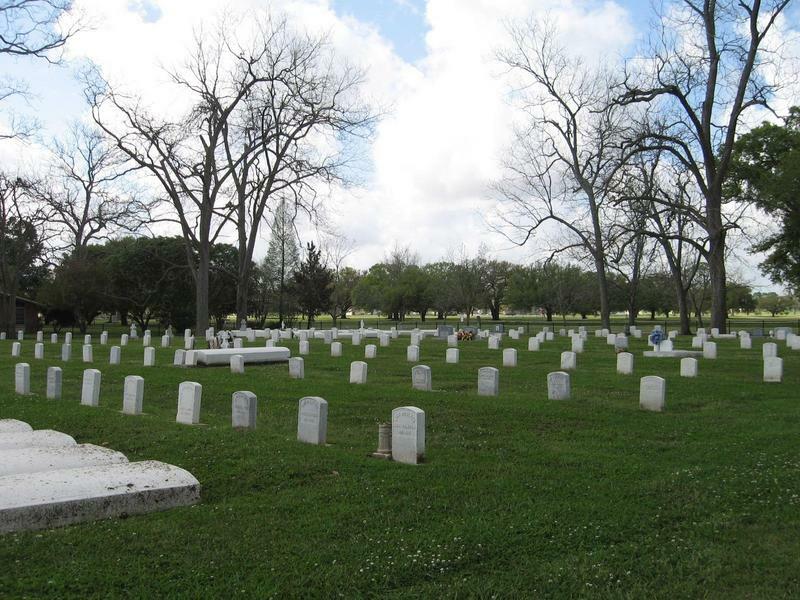 This is the second patient cemetery and was established in 1922 by the federal government. About 750 patients are buried here. These stones were provided by the federal government and resemble markers you might see in a military cemetery. Each stone is engraved with a patient's hospital ID number and either their real or false name. Some patients purchased their own ornamental markers. In many cases, a patient chose to be buried using his “Carville name” to hide identity even in death. Several times a month, families come to Carville in search of a “long lost” relative. In cases like this, the Medical Records Department can make a positive identification by using old medical charts. The museum offers a schematic of the cemetery to help searching families locate a stone. 32 veterans are buried here--from the Spanish American War to the Vietnam war— and each of these graves is marked with an American Legion star. 2nd Patient Cemetery at Carville, National Leprosarium. : There are about 750 burials in this cemetery. 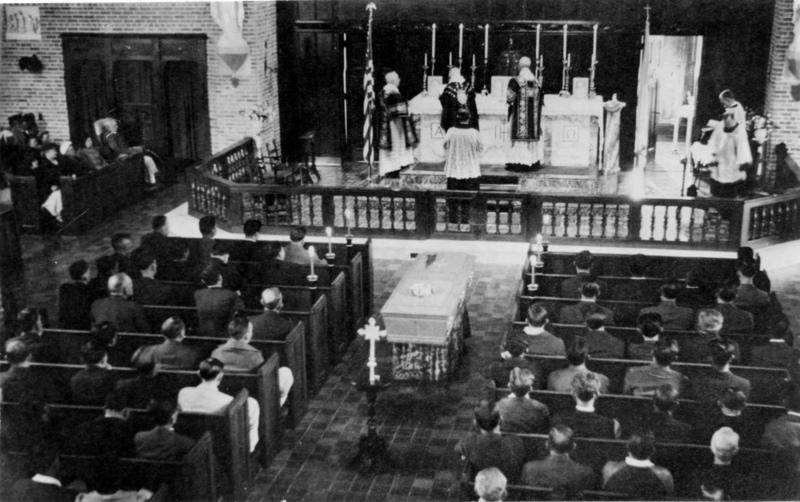 The first burial was in 1922, and the last burial in 2014. Only those patients who were quarantined by law may be buried here. ~ Source: Photograph courtesy of Vickie Joseph. 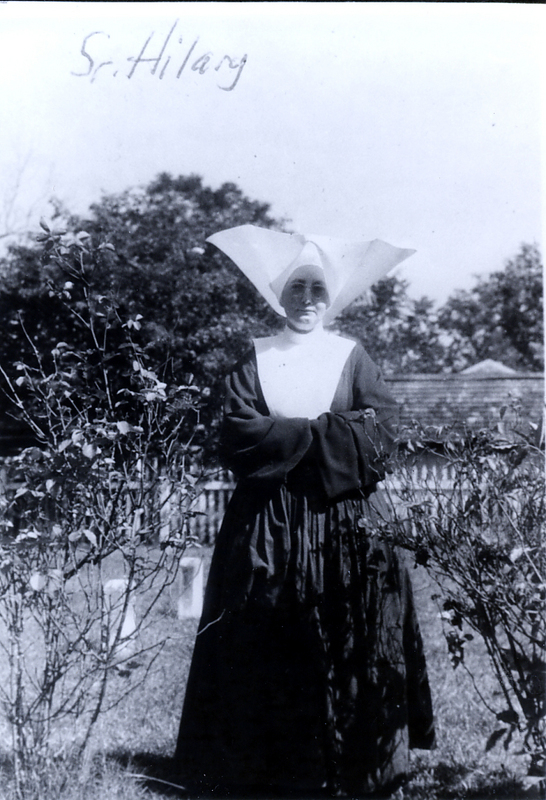 Sr. Hilary Ross in Patient Cemetery, Carville, National Leprosarium. : Probably late 1920s, early 1930s. ~ Source: Image Courtesy of the National Hansen's Disease Museum, Permanent Collection. Carville, LA. First Patients' Cemetery (1895-1922): In 1922, shortly after the federal government took over the hospital, the first patients' cemetery was closed. 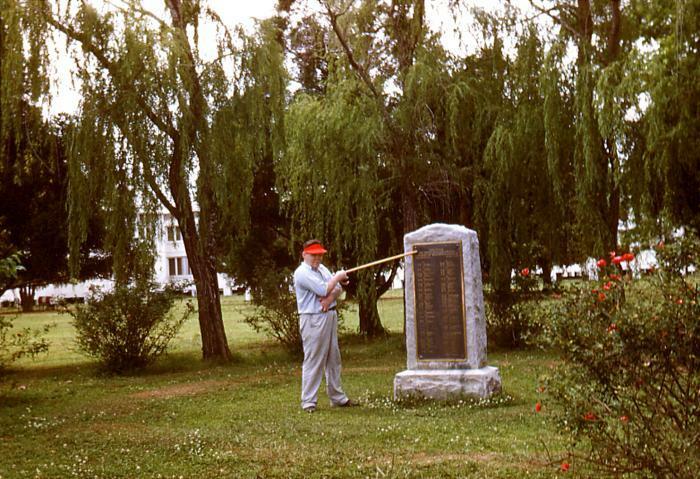 A monument with engraved names replaced individual markers, and a ceremony was held by patients and staff to commemorate those first 137 patients buried on-site. ~ Source: Image Courtesy of the National Hansen's Disease Museum, Permanent Collection. Carville, LA. Audio narration for stop 8 (Patients' Cemetery) of the Carville: The National Leprosarium tour. Elizabeth Schexnyder, Curator, National Hansen's Disease Museum, Carville, LA, “Carville Patients' Cemetery, National Leprosarium. 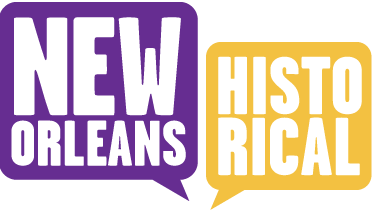 ,” New Orleans Historical, accessed April 24, 2019, https://neworleanshistorical.org/items/show/637.